The Francis Marion National Forest is the closest escape from Charleston for hiking, backpacking, mountain biking, and trail running. The entire 251,931 acres of this portion of South Carolina’s coastline is crisscrossed with a multitude of trails, serving as a haven for city-bound outdoor enthusiasts. The national forest is about 45 minutes northeast of town. 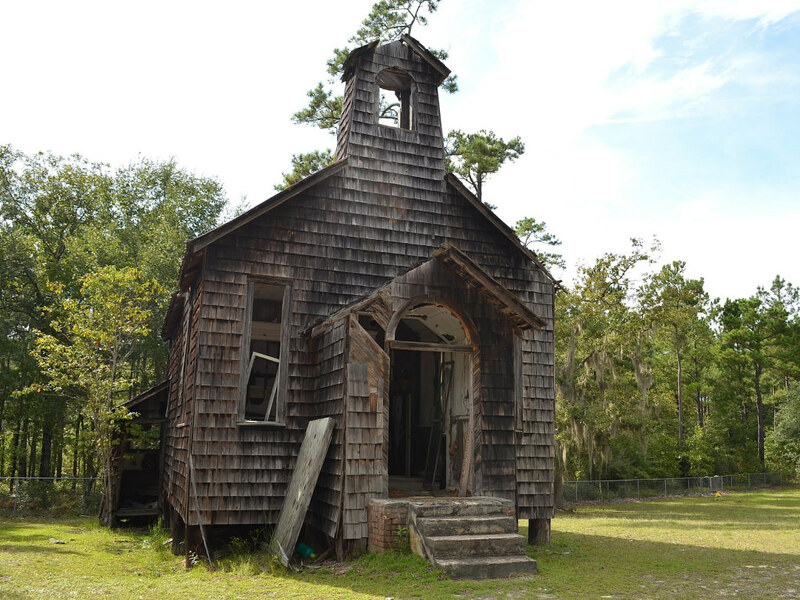 It’s a straight shot from Charleston along highway 17, and once you’ve passed Mount Pleasant, the drive becomes one of the most scenic routes you’ll find in the Lowcountry. Francis Marion is as close to a pristine wilderness area as you’re going to find along the Carolina coast. Hurricane Hugo plowed directly through it in 1989, and since then, the forest has naturally rehabilitated itself. Throughout the forest you can see evidence of Hugo’s devastation. Young pines line the trails, as well as massive live oaks that withstood the force of the hurricane, plus downed trees that weren’t so lucky and found their final resting places miles inshore. The uninterrupted healing process has benefitted the local flora and fauna, which are thriving in the undisturbed wilderness. Within Francis Marion National Forest's boundaries there are over 40 miles of cycling trails, innumerable paddling and canoeing routes, lots of Spanish moss, and the Awendaw Passage—the last (or first) section of the Palmetto Trail system, which spans across South Carolina, from the Lowcountry to Oconee State Park in the Blue Ridge Mountains in the north-western part of the state. There are also plenty of campsites for a wilderness immersion experience. Read on for the five best campsites in Francis Marion National Forest. These offer a top-notch visitor experience, plus they're just damn fun places to camp. Nicolas Creek Camp is about as primitive as it gets. There is no water aside from what you can find and filter for yourself, and zero facilities on site. 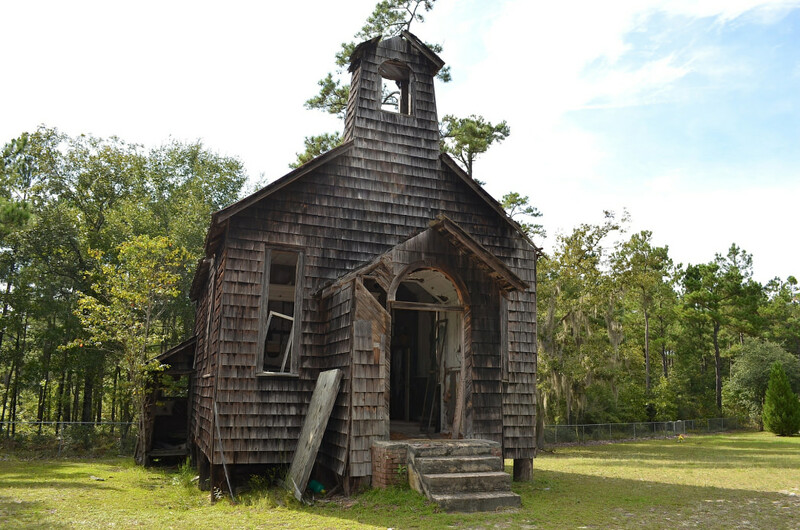 If you're backpacking the Awendaw and Swamp Fox passages of the Palmetto Trail, be sure to plan a night at this site. It's peaceful, beautiful, and embodies everything this forest has to offer for backpackers. This primitive campsite is located within the Swamp Fox passage of the Palmetto Trail, roughly 20 miles inshore from the trailhead in Awendaw, SC. There's a water pump, a place to set up camp, and not much else, but that is the beauty of this site. You're not going to see many other visitors, and you'll be camping beneath the shade of massive live oaks. Fair warning: this site is deep in the forest. If you plan on visiting, make sure you're as prepared as possible for an overnight stay. With risk comes great reward, and having this spot all to yourself is quite the treat. 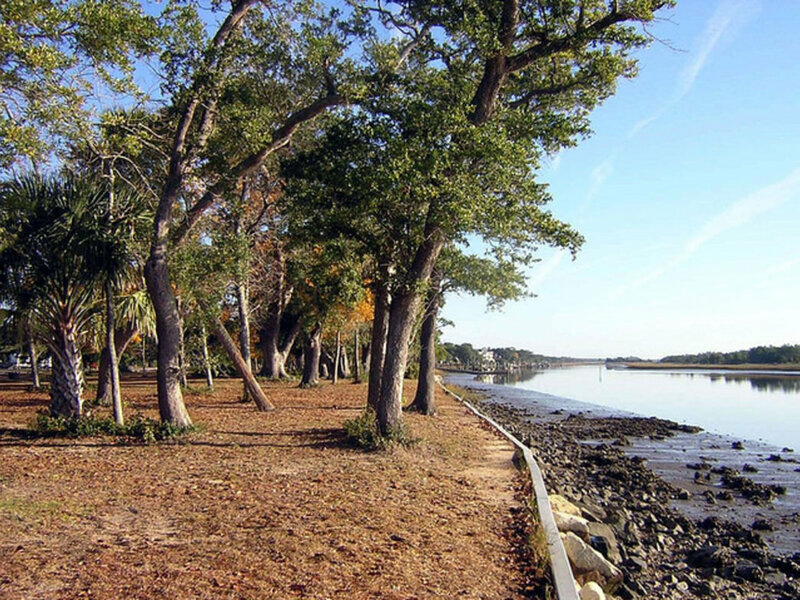 Buck Hall Recreation Area is what most would classify as “glamping,” but don’t let that deter you from visiting this prime campground situated on the Intracoastal Waterway. There is water, tent camping, showers, and a picnic shelter, as well as a full sized dock and boat ramp to drop in for an amazing paddling trip to Bulls Bay. Buck Hall sits on top of where Buck Hall Plantation once stood, one of the many plantations in this area that established a booming rice industry in Charleston’s early years. Have $15 ready for a tent camping fee, and/or $5 for a daily parking fee. Honey Hill is a step above primitive camp sites in the area, but not quite as decked out as Buck Hall. The campground/recreation area is situated around an old fire tower, which is no longer in use (don't climb on it). There is what seems to be the world's first toilet on the site, as well as a grill/picnic area. This site is well manicured, and makes for a great car camping destination. 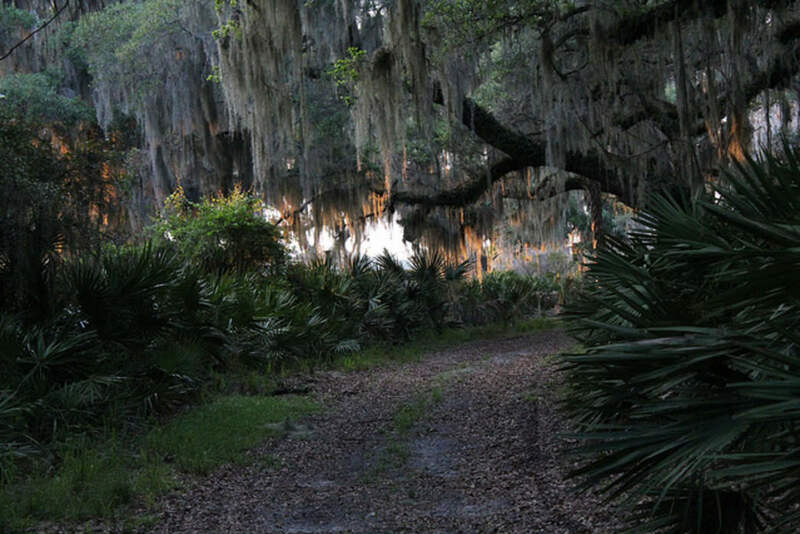 Elmwood Recreation Area is deep in the heart of Francis Marion National Forest. Go here for a the backcountry experience, with all the amenities of car camping. This site has toilets, water, and tent camping sites as well as parking spaces. There is a nice little open space area, but other than that you are definitely in the sticks. Want to know more about National Forests? The National Forest Foundation (NFF) promotes the health and enjoyment of the 193-million-acre National Forest System. By directly engaging Americans and leveraging private and public funding, the NFF improves forest health and Americans’ outdoor experiences. Since 2008, the NFF has achieved $123 million of it $125 million goal in conservation impact to restore America’s National Forest and expand community engagement nation wide. Learn more at www.nationalforests.org.